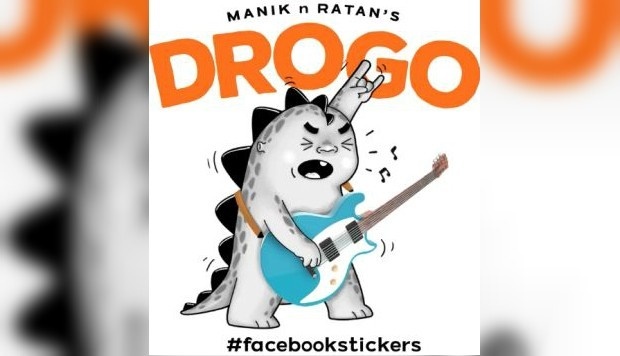 The cartoonist twin - Manik and Ratan - has introduced the character "Play with Drogo" to the internet world. Drogo is a fictional mascot of Bangladeshi twin cartoonists Manik and Ratan. Drogo is so small as to fit in the palm of one hand. It is a dragon with the appearance of a 'Godzilla puppy'. "Meet Drogo and watch this little creature interact in your world, messages and comments," says the Facebook. "Get Drogo and start sending this new Facebook Stickers package today," says the social media giant.